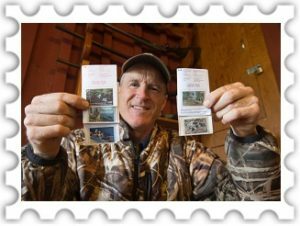 Believe it or not, although electronic Permits are valid whether or not you have a “real” Canadian Duck Stamp, about 75% of people purchasing the e-Permit still asked to have the physical Stamp mailed to them! It seems somewhat curious that, in the ever-expanding digital and virtual world, so many people are taking the additional effort to check that box and receive a Stamp in the mail. 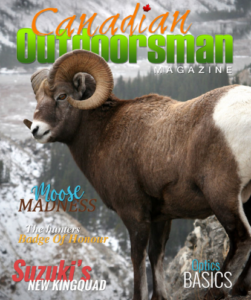 Read the full article, as published in the Canadian Outdoorsman magazine, Fall 2018 edition – page 50. 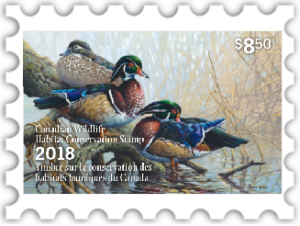 Top, left: 2018 Canadian Wildlife Habitat Conservation Stamp, © Her Majesty the Queen in Right of Canada, as represented by the Minister of Environment, 2018. Top, right: credit F. Greenslade.